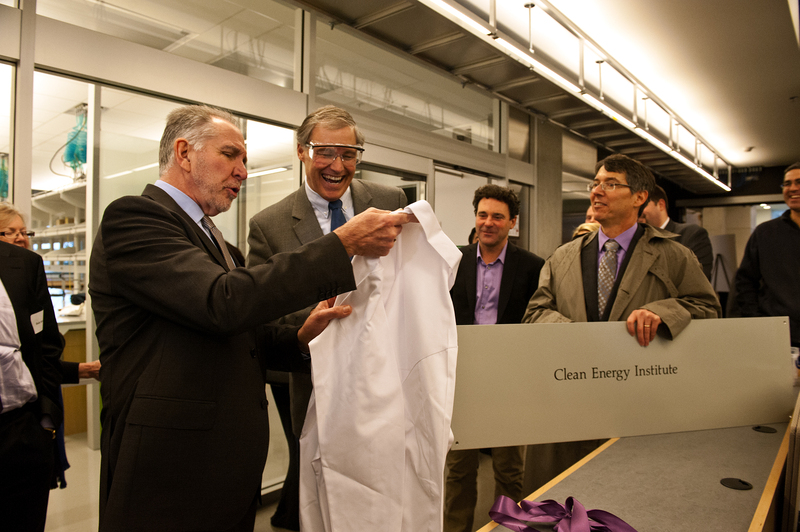 The Clean Energy Institute formed when Washington’s governor and state legislators last summer allocated $6 million to create a research center at the university that will advance solar energy and electrical energy storage capacities. The institute will better connect and boost existing energy research at the UW as well as attract new partnerships and talent, including new faculty members. The funding will support the institute’s first two years. It came as part of a package last summer that also allocated $1.8 million to create an ocean acidification research center at the UW. Solar panels dot many rooftops and power highway signs across the country, but the technology still hasn’t reached the lower cost and reliability needed for widespread adoption, Schwartz said. And even the best solar cells still need better energy storage capabilities to integrate seamlessly into the electrical grid. 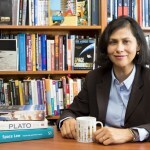 The institute’s funding will help hire four new faculty members in the fields of advanced materials and energy systems. It will also provide fellowships to recruit six new graduate students and support about 20 graduate students pursuing out-of-the-box research in solar energy, batteries and smart grids. About half of the funding in the first year will go toward developing lab space and new instrumentation in the UW’s recently completed Molecular Engineering & Sciences Building. Engineers and scientists at the UW are currently making new materials that efficiently harvest energy from the sun and can be manufactured at a low cost. For example, one team is creating solar “inks” to coat surfaces as a way to make low-cost solar cells, while other researchers are creating plastic solar cells they hope can be mass produced. Key to this technology is designing materials at the molecular level and understanding how changes can impact the performance of a solar cell, Ginger said. The institute also will support engineering research on how solar energy production, battery storage and smart-grid technology can work together to accelerate the scale-up of clean energy. As the state aims to meet ambitious greenhouse gas emissions reduction goals over the next decades, Schwartz said, Washington can’t expect its reliable hydroelectric power sources to grow with the economy. “Solar energy is the one resource that can truly scale up going forward, but we need to be smart about the whole energy system to help it happen,” Schwartz said. The institute will be an interdisciplinary hub for solar and battery research, drawing several dozen UW faculty from across campus as well as university, federal and state partners, including Pacific Northwest National Laboratory, the UW’s Center for Commercialization and the Molecular Engineering & Sciences Institute. 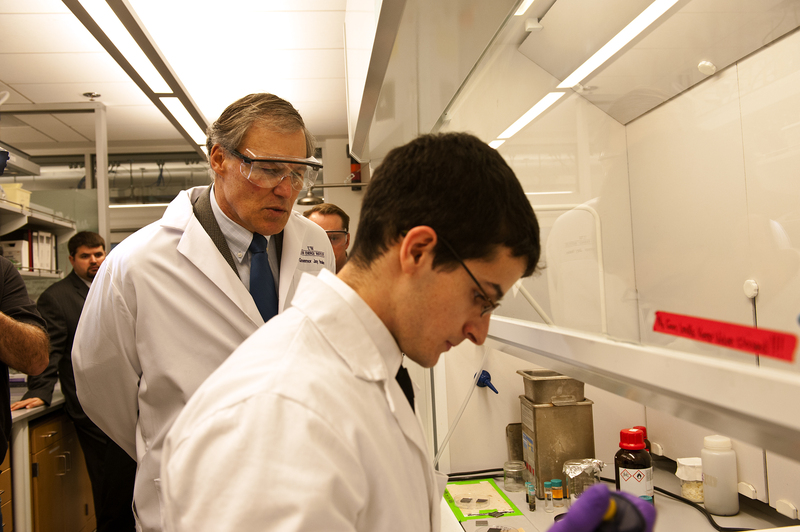 Inslee and Young joined speakers including Bullitt Foundation President Denis Hayes and Technology Alliance Executive Director Susannah Malarkey, as well as and faculty, staff and industry partners to inaugurate the institute and emphasize the need for energy innovation. Faculty and graduate students presented their research and invited guests toured the lab facilities. 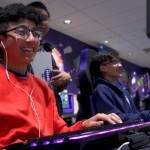 For more information, contact Schwartz at ceidir@uw.edu or 206-685-6833.